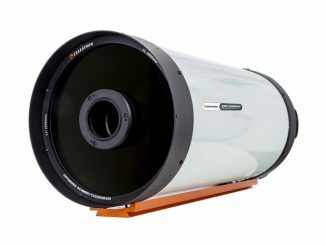 Steve Ringwood appraises the VMC110L, a novel “grab ‘n’ go” modified Cassegrain telescope of 110mm aperture and 1035mm focal length (f/9.4) from renowned Japanese manufacturer Vixen. 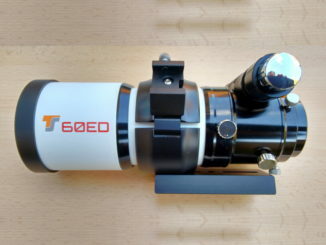 The instrument features twin 1¼” eyepiece ports — one of which can be used for imaging or photography — and an internal flip mirror system to quickly switch between the two. 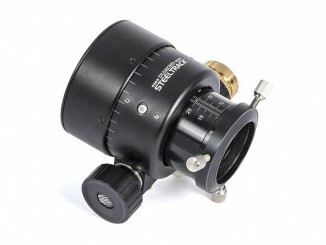 Celestron’s 280mm (11-inch) aperture f/2.2 Rowe-Ackermann Schmidt Astrograph (RASA) is capable of blisteringly fast photographic speeds, capturing images of nebulae and galaxies in seconds. 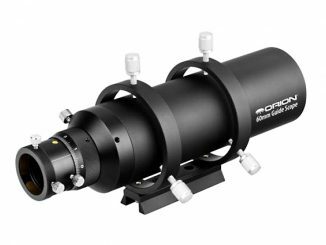 An imaging system optimised for virtually any one-shot colour CCD or DSLR in existence, Ade Ashford appraises this photon-grabbing wonder in the context of evolving optical systems. 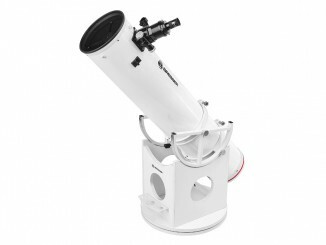 There is a delicious irony that ‘finding’ the brightest astronomical object in the sky is associated with the greatest danger — if one were to attempt using a conventional finder to point a suitably filtered telescope at the Sun, that is. 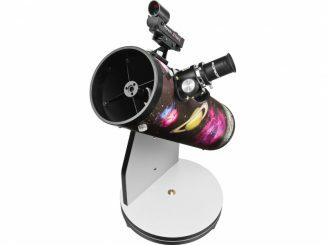 Altair Astro’s Solar Finder permits simple, safe and swift alignment of your solar telescope, says reviewer Steve Ringwood. 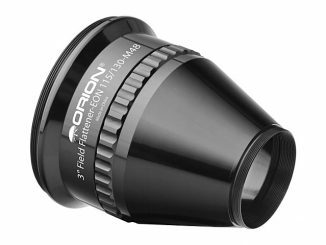 Steve Ringwood reviews a dedicated 3″ field flattener designed for use with Orion’s EON 115/130 EDT refractors. 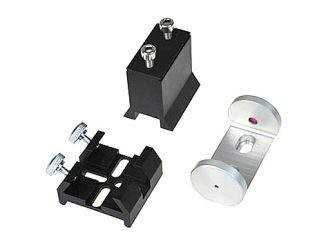 One side of the field flattener threads on to the 3″ focuser, whilst the other offers a wide M48 thread that enables fixture of DSLRs, etc. without the vignetting possible with smaller M42 designs — particularly when deployed with full frame sensors. 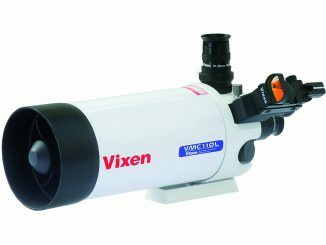 Vixen has introduced a remarkable looking 7-element ocular that yields an expansive 83° apparent field. 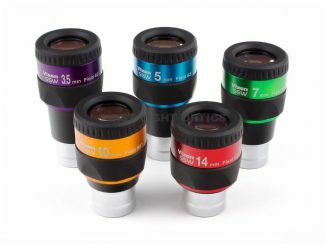 Yet the optical somersaults entailed in doing so are achieved without harm to the final image, yielding a stellar field with sharp edge-to-edge field definition with no vignetting – even on instruments of low focal ratio, says reviewer Steve Ringwood.